CAB Solar scored two home runs in the most recent issue of SOLARPRO Magazine. 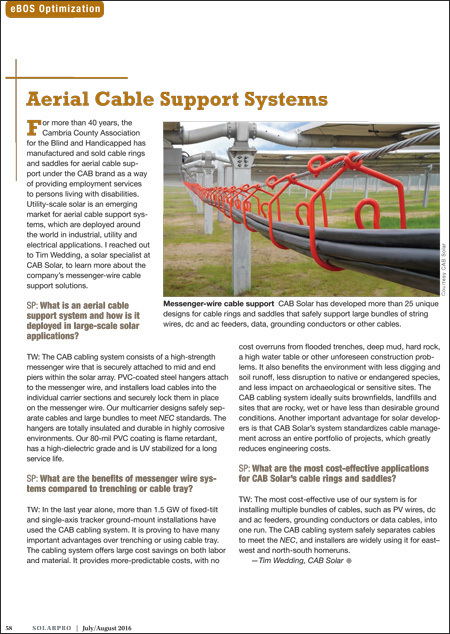 The popular magazine’s July/August 2016 issue featured a full page profile of CAB’s Solar Wire Management System plus a recommendation in the cover article about Best Practices for Electrical Balance of System Optimization. 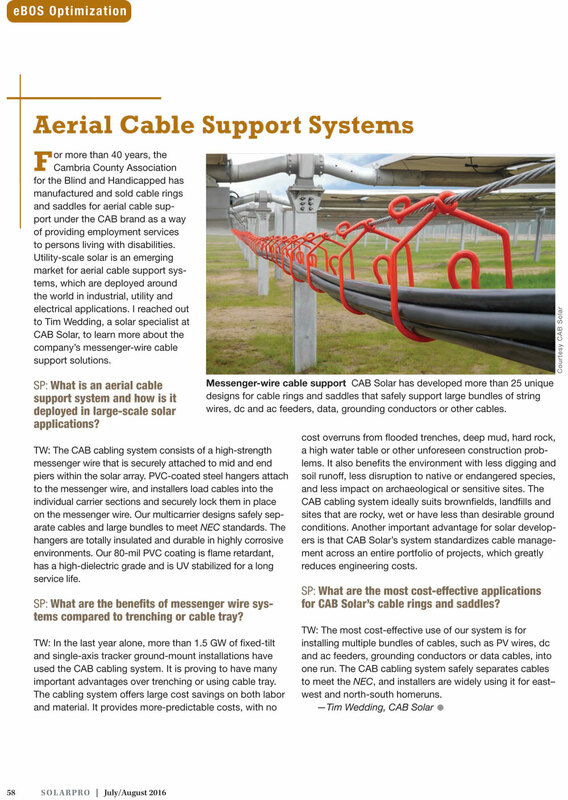 The CAB Solar profile examined the advantages of an aerial cable support system versus trenching or cable tray. It presented a concise overview of how messenger wire cable support systems are deployed in large scale solar applications and explained the most cost effective uses of these systems. The article’s profile photo depicted CAB hangers at a large solar installation in Florida. CAB’s second mention in SOLARPRO was in the issue’s feature article about opportunities and strategies for eBOS cost reductions. CAB solar hangers were named a favorite for dc homerun conductor management. 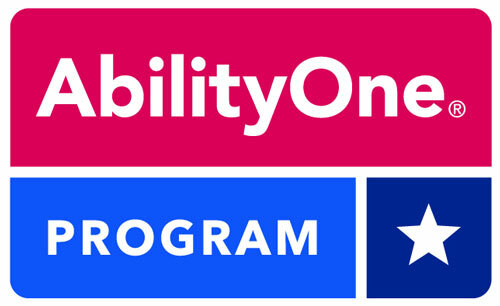 Click here to download and print pdf file of CAB’s Q&A profile in SOLARPRO.